Human Engineers | Is Executive Coaching as a Career right for you? 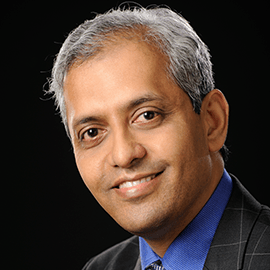 Home/Guest Author/Ganesh Chella/Is Executive Coaching as a Career right for you? Given my involvement with the field of executive coaching, I receive several calls from professionals who are seriously exploring coaching as a career and therefore looking at a coach certification program. Quite often I end up dissuading them from their decision to quit their corporate jobs to become a coach. It may sound strange that as the co-founder of India’s leading executive coaching institution I should be saying this, but, it is true – the process of becoming a coach might look extremely romantic and glamorous. The whole idea of helping someone and impacting their development feels quite heady. However, beneath all these romantic ideas lie several misconceptions, over estimations and under estimations. So, if you are considering investing in an expensive certification program to become a Coach and hope to build a remunerative professional practice around it, here are a few things you might like to know, especially in the India context. You don’t become a coach merely because you have been certified. You earn the right to become a coach because you have proven professional credentials, because you have been there and done that fairly successfully and for a reasonable period of time. If you are a 30 year old L&D Manager, it is natural that you are excited about coaching. It is a certainty that you will be able to master all the coaching skills and processes and be able to have a good conversation. But the bitter truth is that no one will hire you – certainly not for executive coaching. Here is the hard reality – there are a large number of young professionals who have spent time and money to get certified but are not getting to do even an hour of paid coaching work and are naturally feeling frustrated. On the other hand, when someone with deep professional credentials obtains a coach certification and approaches the profession for the right reasons, she or he stands a very good chance of succeeding. It appears that many in the West are full time coaches. In other words, their day job is coaching, very much like a therapist’s day job is therapy. I see many in India attempting to set up a professional practice entirely out of coaching. I am not sure that this work for two reasons. Firstly, it does not seem realistic for most coaches to hope to be able to win and execute enough executive coaching assignments in a year to meet all their economic needs (except of course for iconic coaches who are in demand and can charge a handsome fee). Secondly, it may not also be a great idea for someone to do only coaching work. A coach is in demand only when his or her contextual knowledge is current. In other words coaches need to have a current and contemporary understanding of business issues and challenges, of organisational realities, of leadership concerns and so on. Unless they do other work with organisations like consulting, or training or sitting on Boards, they may not be able to remain current in terms of this contextual knowledge. All things considered, it makes sense for a coach to do other things too. Building a coaching practice ground up takes time. It is not easy for someone to quit a corporate job, get certified as coach and then set up a thriving coaching practice immediately. Having been in a corporate job, these individuals may not have access to the coaching market. They may also fight shy of promoting themselves. So, it is important to be realistic about this dimension. On the other hand, if someone already has a training or consulting practice and an existing client base, it is far easier to add coaching to their array of offerings. Similarly, if someone is well networked or has assured demand from his or her last employer or current employer (once he or she retires) things can become easier. So, who is most suited to become a coach? Having read thus far, the question in the minds of many would be this – for which segment of professionals is coaching as a career a winning value proposition? Keeping in mind the Indian context and the current state of evolution of coaching, it is best to approach coaching as a sustainable profession with rewards beyond money. It is best viewed as a professional offering which when combined with other things that one does can make it fulfilling. It is for these reasons that coaching is emerging as an outstanding option for anyone looking to establish a second career. These professionals are likely to have met their financial needs and would want to do something fulfilling and through that self-actualise. Coaching fits perfectly into this need. Coaching also fits perfectly for anyone who is a consultant, advisor, trainer, facilitator and wants to strengthen his or her practice with coaching. Of course coaching as a competence would be hugely value adding to any leader who wishes to enhance his or her style of leadership. It is extremely relevant for anyone in HR who is expected to integrate coaching into their leader development efforts. So welcome to the world of coaching but tread with caution and with a sense of realism. In a career spanning over three decades, Ganesh has come to be respected and acknowledged for his contributions as a practitioner, consultant, coach and thought leader in the field of Organisation Development, Human Resources Management and Executive Coaching. After a successful corporate career in Human Resources for 16 years (in organisations like Cadburys, TVS, Citibank and RPG), Ganesh Chella founded totus consulting in June 2000. He is the Co-Founder, Vice Chairman and Managing Director of CFI, India and Founder – Totus Consulting. Karoly Tackacs - Winning a gold medal in Olympic is less about the hand, more about the mind.